Get ready to feel more connected than ever! 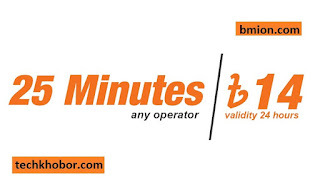 Banglalink now introduces a bundle pack of 25 minutes for just Tk. 14. Dial *1100*3# or recharge Tk. 14 to enjoy the package.